Hey everyone I am back with some schedule updates now that the season is officially completed. The Bills strength of schedule is rated at .480 which is 24th in the NFL facing 5 playoff teams and 4 ten win teams. Now that obviously will change once the season starts but that is not a bad place to begin. This is the NFL's 100th season coming up and I am sure you will see lots of celebrations all over the league. Because of that anniversary rumor has it the opening NFL game will not be the Super Bowl champions hosting an opponent like normal but the Packers against the Bears. They are saying the Patriots should still get a night game and my prediction would be the Chiefs or Steelers on Sunday Night Football so you can cross those two opponents off for the Bills to play week 1. Buffalo opened on the road for the 2018 season so they be home to open the 2019 season. The only time in the last decade the Bills opened on the road back to back years was the 2011 (@ KC) to 2012 (@ NYJ) seasons and with the NFL's greater scheduling focus I would doubt you see the Bills forced on the road. With the Bills opening at home I would predict Buffalo takes on Miami week 1. Typically the NFL does like to have divisional matchups week 1 with the Bills recently hosting the Jets in 2017. The Bills have kind of done a flip flop of AFC foes and AFC Divisional opponents for the home opener with it going Chargers 18, Jets 17, Jets 16, Colts 15, Dolphins 14, Patriots 13, Chiefs 12. 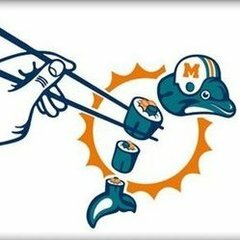 Buffalo also has not hosted Miami week 1 since 1991 when they beat Miami 35-31 and it feels like this may be the year the Bills break that streak. Based off my research Buffalo should receive a more favorable home schedule layout then last years 6 away games in the first 8 games to start the year. In 2016 the Bills got dealt a rough home schedule with 6 away games in their first 10 games and four home games in the final six, only to receive a far more favorable 5 homes games in the first 9 games for the 2017 season. My prediction is the Bills get something similar with at least 4 home games by the end of October. If you are looking to go to an away Bills game this is one heck of a year to do it with trips to Nashville, Cleveland, & Pittsburgh all on the schedule which all are great fun cities and drive able or a very quick flight. Dallas also is on there if you want to go to Jerry World. The Bills will not be playing in London this year none of their opponents are hosting a game and the Bills were not selected to host one (thank god). For those of you who are fans of 1:00 pm starts this will be a good year for you. The Bills have just one away game that is not EST being the Dallas game which could start at 4:15 although the last two games in Dallas started at 1:00 pm (Buffalo has not won in Dallas since the 1993 season). The only other game which possibly could receive a 4:15 start due to the geographic location of a team is when the Bills host the Broncos. Again historically Buffalo has not had that game be at the 4:15 slot since the 1990s and typically 4:00 games are far more marquee matchups. Assuming both games receive 1:00pm start times the Bills potentially will have a schedule of all 1:00pm games minus any possible night games, flex games, or the NFL actually moving the Bills into a 4:00 start. So if you like 1:00pm congrats because it is looking like a great year, for those like me who like later games it will be a bummer. Finally night games. The Bills have rarely received two night games in a season. The only two times in the last decade Buffalo played twice at night was the 2015 (at NYJ & at NE) and 2016 (NYJ home and at SEA) seasons which you can give credence to Rex Ryan being the head coach for that attention. The NFL seems to finally be letting Bills fans have a little fun at home with games on Thursday Night Football 2016 and Monday Night Football 2018. This has be received positively around the league with famed NFL writer Peter King commenting that Buffalo deserves a night game every year because of the environment and how good it reflects for the NFL. Additionally there was no real issues locally before or after the game which helps support the team hosting. To play at night you need to have a QB with some brand if you want to make your mark. 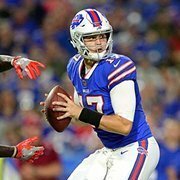 Josh Allen had a solid rookie season with many highlight moments that should help a little for the Bills night game cause. Having fellow QB class brethren Sam Darnold 2x and Baker Mayfield on schedule certainly is a selling point too. All of that said I think Buffalo gets one night game and it is a road game at NYJ or Cleveland who Buffalo has played before at night. 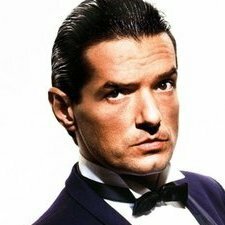 If the Bills do receive a home game, the Patriots, the Jets, or another big market team like the Eagles with Wentz would same probably be the opponent on Monday Night Football. The Bills will not receive a Sunday Night Game until they improve more consistently. If the Bills do get two night games it will almost certainly be a combination of above with the Bills traveling to NY/CLE and hosting NE/PHI/NY. I would be stunned if the Bills night game is much past week 11 because the NFL usually puts its lower market games earlier in the season when things are still new and exciting. The Cleveland game has Thursday night written all over it. Bills at Giants or Bills at Dal could be potential primetime games. My vote is Bills at Cowboys as an early Monday Night game. Maybe but with the NFLs 100th season I feel they may use more primetime games with big market teams like NYG or DAL as opportunities to reemphasize those teams. Giants at night would be really fun. And we are sure to get a TNF game this year, since we were spared last year for some reason. I am less sure about buffalo getting a SNF or MNF game. I'm predicting Bills vs. Cleveland on a Monday night because last season showed that Allen and Mayfield were the best two QBs of their class. Just dont want us playing a Thursday game (too many injuries) or facing a team that is coming off a Thursday game or bye week (too much prep time for them). Other than that I am excited to face any opponent!! I am salivating already at Allen vs. Darnold and Allen vs. Mayfield. If it was in like in the past Bills at Cowboys could be a Thanksgiving game, but more recently been using NFC teams instead. If we have to get a Thursday game, please let it be opening week. Historically, there are not more injuries during Thursday night games. Last year was the only year in which there were more and it wasn't by much. Last year the NFL was asked by the networks for better Thursday Night Games as opposed to the mostly divisional spread which gave everyone "classics" like the Jaguars Titans for years or Browns Bengals. The NFL removed the rule that every team most play on TNF and helped give better matchups which you saw. Being this is the 100th anniversary though I think the TNF schedule will go back a bit to being lesser matchups and Bills/Browns would seem very possible. MNF Buffalo absolutely has a shot for. SNF is the most exclusive teams and matchups now because it is the NFLs biggest draw. Darnold Allen p1 was already fun and with more weapons for both hopefully we get more high scoring games. But Baker Allen will be insane. Both QBs are confident and arrogant as heck with personality which I love. The problem is both BUF and CLE have good defenses which could slow the game into a crawl. But Baker Allen will be insane. Both QBs are confident and arrogant as heck with personality which I love. The probl﻿em is both BUF and CLE have good defenses which could slow ﻿the game into a crawl. Iron sharpen Iron! Bring it on baby!! Thanks for write-up, I hope for no Thursday games even Thanksgiving. This would be sweet! I'm planning on attending this game with a bunch of my cowboy fan friends. The Ravens and Bills have a very odd relationship playing each other. Buffalo has won both meetings in Buffalo and Baltimore has won all of games in Baltimore minus the first time they ever played which would make sense given Baltimore was basically a quasi-expansion team at the time. If the schedule plays out anywhere near where the OP surmises, this should be a memorable season. Missing from his logistics is the fact we play SEVEN games against AFC teams with all new coaching staffs; CLE, CIN, DEN & 2 ea vs NYJ & MIA. I anticipate 6 wins here, regardless of when/where, and all 7 if we catch the Jets on the road early. That’s better than sweeping the Division. Wash, G-men & Dal don’t strike fear in anyone. 2-1 vs TEN, BAL & PIT isn’t out of the realm either. IFFFF we can split with NE -for which keeping them from tying our 4 straight SB record should be motivation enough, we’re looking at a 12 win season. I know it’s very early..
Actually really looking forward to the Bills- Browns game. Should be fun to watch Allen and Mayfield battle. Nice write-up. Thx. A primetime matchup vs. Cleveland really seems like a no-brainer, given the perceived rise of both franchises and the Baker vs. Josh angle. Payback for the last time they met on Monday Night!